The Swiftie enables a line to be threaded through a remote object. The bar can be opened either upwards or downwards, with either action locking in one end of the bar so that it cannot be pulled out. This produces a dual axis movement which allows the mooring to be passed below the rope, and then (by flipping the bar open) allows the rope to pass over its target and be returned to the boat. 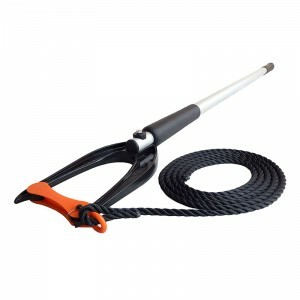 The Swiftie threads a rope through a buoy ring or marina cleat up to two metres away from the safety of your deck and brings it back on board. 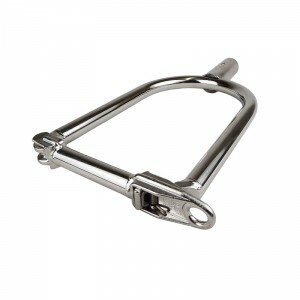 The Swiftie claw point can ‘pick up’ rings and shackles that are lying flat. The Swiftie is easy to use – attach your own mooring line to the end of the Swifie feeder line. We recommend that you use either a sheet bend or a double sheet bend. 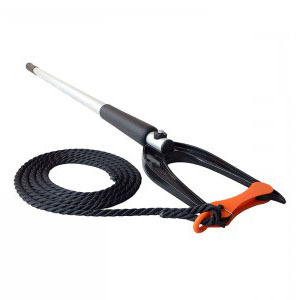 Extend the telescopic pole to the length you require and lock it with a twist action. 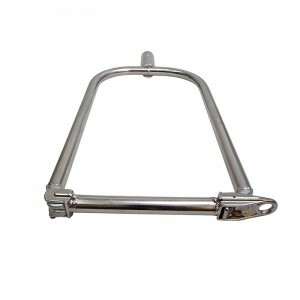 Giving a light pull on the feeder line helps to check that the gate is correctly located in the head. Ensure that the mooring line is free to run out. You can also tie your own mooring line directly to the Swiftie gate if it will fit. A bowline is an appropriate knot to use. Note that heavy and/or stiff mooring lines may be more awkward to thread from a distance and pull back aboard. 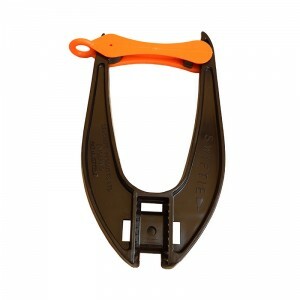 You can also use the Swiftie to help you to ‘lasso’ a cleat or bollard.